Too often, identifying an issue with a roof comes late in the game. It tends to be once something has penetrated the flashing, or you start to feel a consistent dripping on your head that you will look into contacting a roofing company. As the buildings first defense against the major elements, the roof is continually exposed and thus should be inspected to ensure the quality is intact. Even more importantly, keeping an eye on your roof throughout its lifetime can help mitigate any potentially larger issues it could cause down the road. In order to properly identify different threats to your commercial roof, you will need to know what to look for. Today we are going to go through some indicators your commercial roof may be failing and needs a professional inspection. Visual indicators can be one of the most obvious ways to identify potential issues. As your roof continues to be exposed to the extreme elements such as wind, snow, ice, rain, and heat, wear and tear cause rust. If your company happens to have an entire roof made of metal, you will want to immediately contact a roofing contractor for an inspection. If the metal is rusty or deteriorating, the integrity of your roof and where the metal is located, can be threatened or compromised. Pay additional attention to where the flashing connects with the perimeter of the roof as well. If you spot a gap between the flashing and the perimeter or other installed equipment on the roof (an HVAC system for instance), immediately call a contractor. Leaving this gaps on your roof allows it to be vulnerable to high wind damages, water permeation, even mold. As you may have guessed, seeing any bubbles or blistering on your roofing is not a good sign. Both of these can happen and may be caused either by heat or water. In the case of blistering, this will occur when there is a lack of accurate attachment with hot bituminous roof systems. When the asphalt is heated incorrectly, blisters can appear and decrease the lifespan of your roof. Bubbles will appear when there is moisture stuck beneath the roof cover. Over time, the water can permeate the roof, resulting in leaks, water damage, weaken the deck structure, and lower the resistance to forceful winds. The other cause of roofing bubbles could be from gases that are released from the insulation underneath the the roofing cover. Either way, if you are noticing bubbling in your roofing, call S & S Roofing for an inspection to prevent any serious complications down the road. 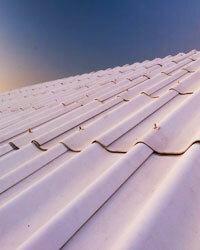 Most roof failure is caused by neglecting to execute proper inspections each quarter. When you are able to identify these issues early on, you will have a much higher likelihood of ensuring the full lifespan of your roof. One of the main threats of roofing damage and a shorter life span for a roof is the ultimate destroyer, water. 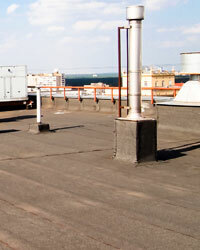 Whether rain or condensation from an HVAC unit, water on a roof can cause innumerable damages. If the water permeates the roof cover and flashing, it can sit and cause mold to grow, which will damage the property and potentially lead to expensive replacements. Even if the water never breaks through roof materials, pooling water can still cause just as much damage, and can even be the beginning stages of leaks. When the water is standing on a low slope or flat roof top for too long, the materials are weakened and can cause rusting, rotting of the deck, weakening of the overall roof deck, and deteriorate the integrity of insulation concrete or gypsum decks. If the membrane is damaged due to water, there can be cracks as a result, which will cause leaks and more potential for mold. If you see any ponding water on your commercial roof, make sure to contact your contractors at S&S Roofing for an inspection and evaluation. 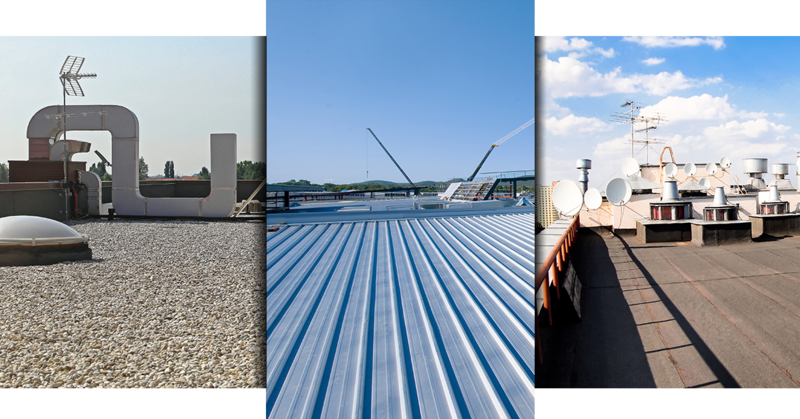 For all your commercial roofing needs, contact S&S Roofing today. Our contractors are experienced and prepared to help tackle any potential threat to your roofing system. Established for over 30 years, our team is passionate about developing a relationship with our customers, once our job is completed and executed accordingly. Named Master Contractor for 2016, our standard of excellence in customer service and execution is a non-negotiable. We provide inspections, roof repairs, and roof replacements. To learn more about our services contact S&S Roofing today or visit our website. When it comes to roofing, we have you covered.